Marius van Niekerk, Hein Kotze and Antonio Caroli showed good early pace during practise with Shaun Schutte and Wayne Joelson also running good fast laps. 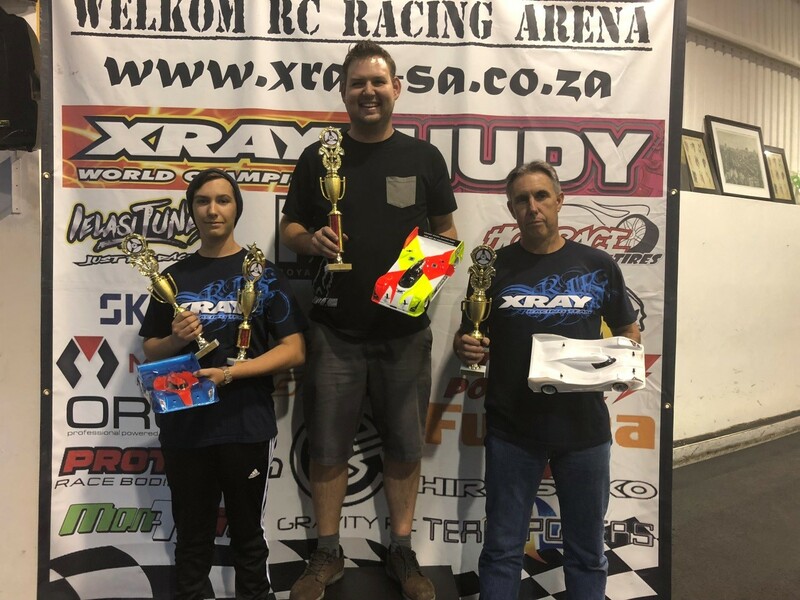 It was Antonio Caroli who managed to secure TQ with his Xray X12 and youngsters Marius van Niekerk and Hein Kotze starting from 2nd and 3rd respectively. In the mains it was Antonio who set the early pace in A1 to secure a hard fought win. In A2 it was Marius van Niekerk who took victory with great fast and consistent laps. In A3 Hein Kotze showed his pace setting him up for victory. He unfortunately had a battery dump on the last lap and Shaun Schutte was close enough to take advantage of it to take a win in A3. The final results were established by count-back resulting in Antonio securing the overall win with Marius second and Shaun third. 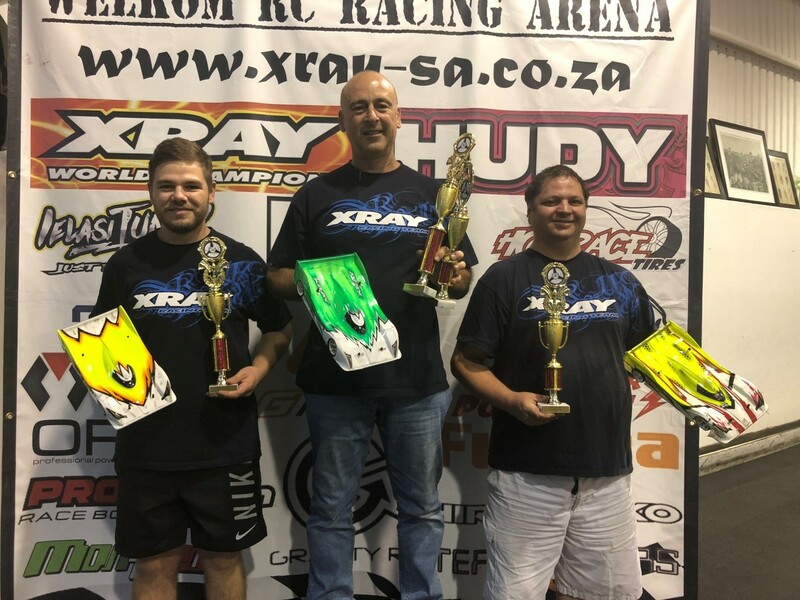 The qualification rounds saw a great battle between youngsters Brandon Solomon and Francois Laubscher with Xray team mate Wayde Solomon keeping them honest. Brandon managed to secure TQ after 4 rounds of qualifying with Francois starting form 2nd on the grid and Wayde 3rd. In A1 main Francois Laubscher took an early lead but Brandon managed to fight back for a great win. In A2 and A3 it was Francois who managed to secure wins which handed him the overall win with Brandon second. Wayde Solomon drove consistently behind the two leaders to occupy the final podium position.